We Prepare You For Success .. 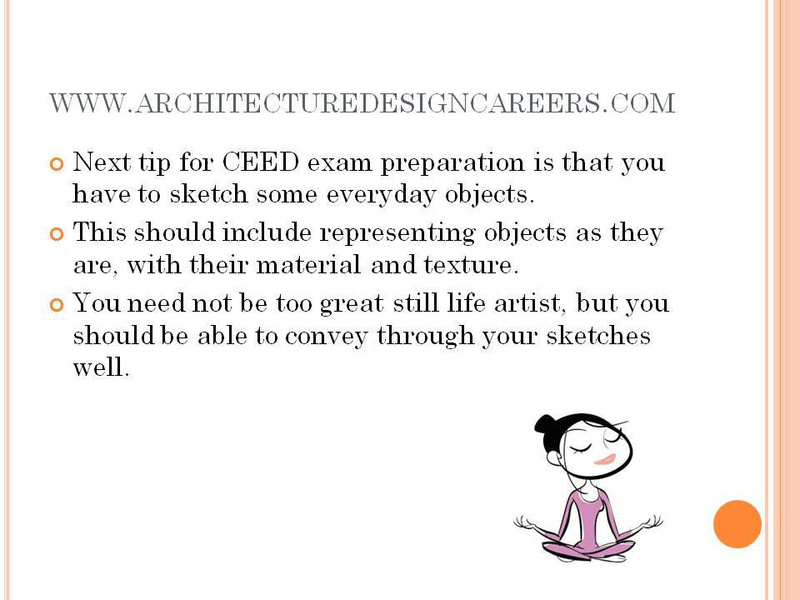 The Common Entrance Examination for Design (CEED) is a joint entrance exam for post graduate studies in the field of technological design held annually jointly at all IITs and Indian Institute of Science (IISc). The examination is hosted by the Industrial Design Centre, Indian Institute of Technology Bombay on behalf of Ministry of Human Resource Development, Government of India. It is a descriptive test covering a student's logical, creative, observation and drawing skills, tested in particular for admission to various design courses in the field of Product Design, Industrial Design, Visual Communication, Animation Graphic and, Vehicle Design and Mobility. Eligibility: There is no bar to either the age of the candidate or the number of times a candidate can participate. The minimum academic qualification for appearing in the examination is a Bachelors degree in Design, Architecture, Fine Arts or Engineering from a recognized college or university of India. All qualified candidates with a valid CEED Examination score become eligible to apply for admission to various design programs under IITs and IISc. 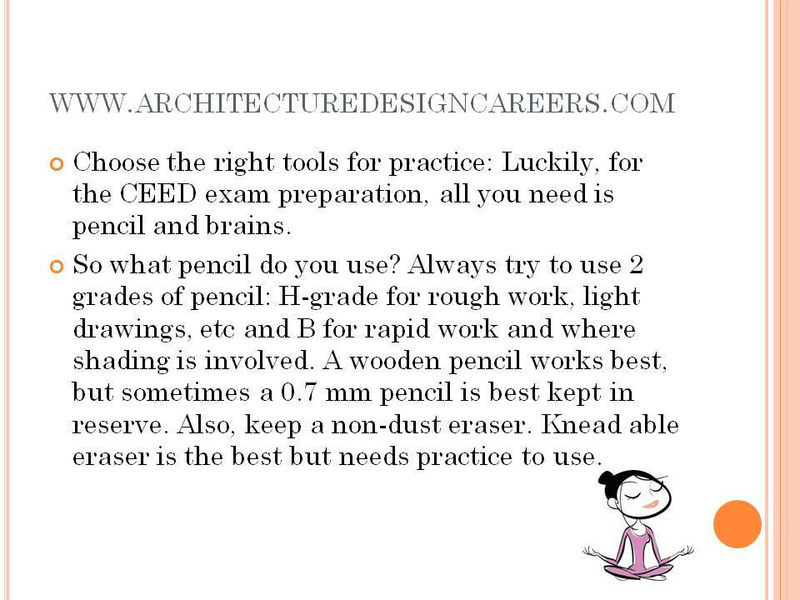 A valid CEED score does not, however, promise admission to the desired institute. 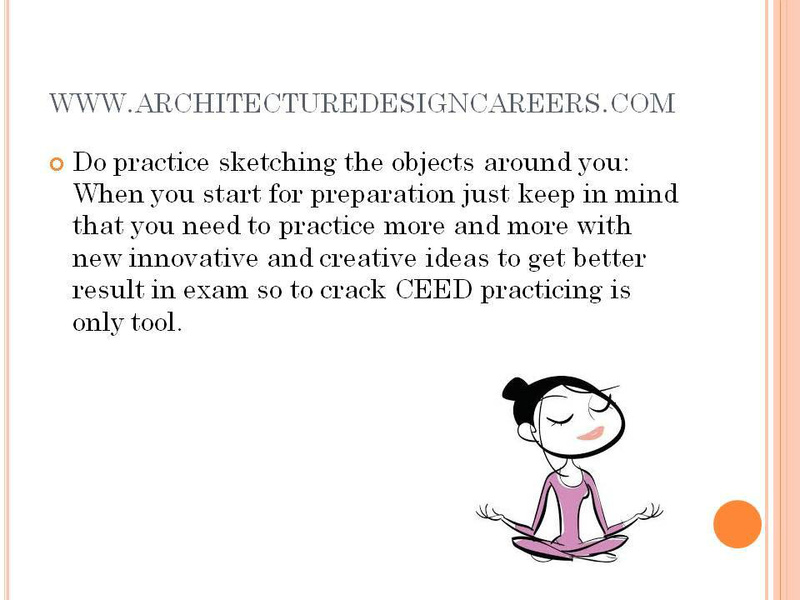 Candidates are always required to appear a second test known as the Design Aptitude Test (DAT) followed by an interview prior to final selection by the respective institutes. Part A is a preliminary screening test. There are about 50 questions in this part having negative marking. Correct answers carries +2.0 marks and wrong answers carries -0.5 marks (negative). All questions in this part checks general knowledge and awareness. Part B is evaluated for those candidates who are short listed in screening test (Part A). All question in this part examines the drawing and creative skills of the candidate. The first two parts is mandatory and the Interview is carried for those who clear both Part - A and Part - B. 1. Visual Communication - this includes Logo's, signage, advertising, packaging, fonts etc. 2. 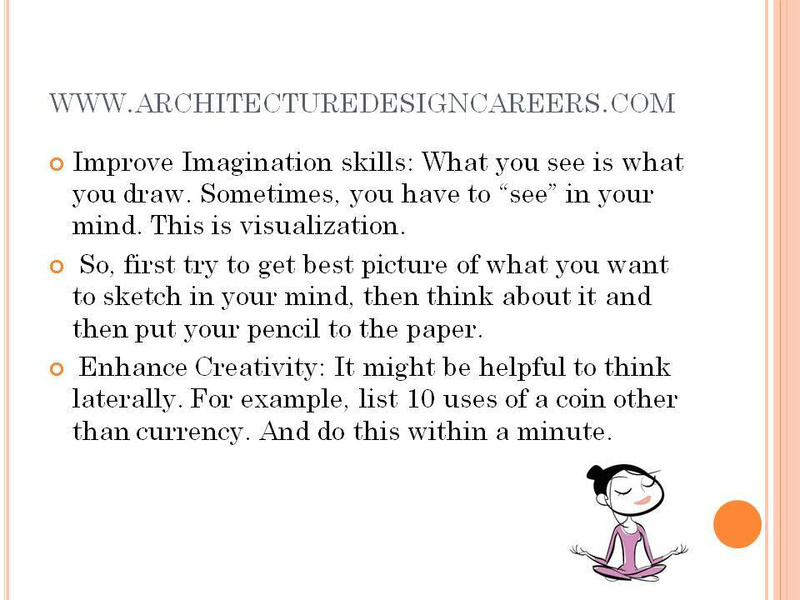 Animation Design - includes Movement observation, comic strips, visuals etc. 3. Product Design - that covers Latest and newest products and trends, current products etc. 4. Automobile Design - that relates to Aesthetics, manufacturers and plants etc. 5. Digital (applied to almost all the fields) - which relates to Photography, color coding, displays, printing etc. 6. Observation and visualization (Basic designer skill) - something like Mirroring, textures, evolution (past to present), isometrics and geometry, tessellations, shadows and more. 7. 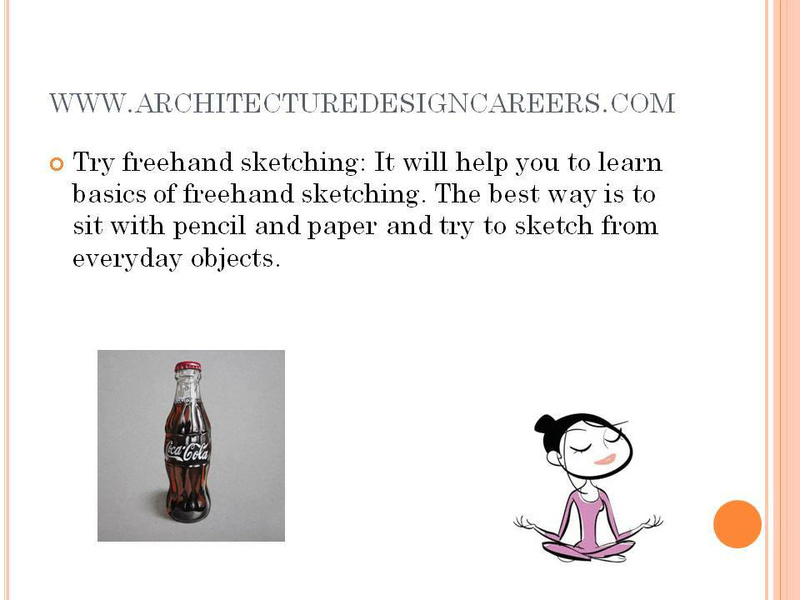 Architecture - that covers Sculpture, monuments, materials etc. 8. General awareness - which includes Engineering ability, materials, culture of the country, famous personalities and their works, instruments, animals etc. Those who clear Part-A and Part-B are required to prepare Portfolio to produce during the interview. IIT Bombay - M.Des. in (a)Industrial design, (b)Visual Communication, (c)Animation, (d)Interaction Design, (e)Mobility and vehicle Design.